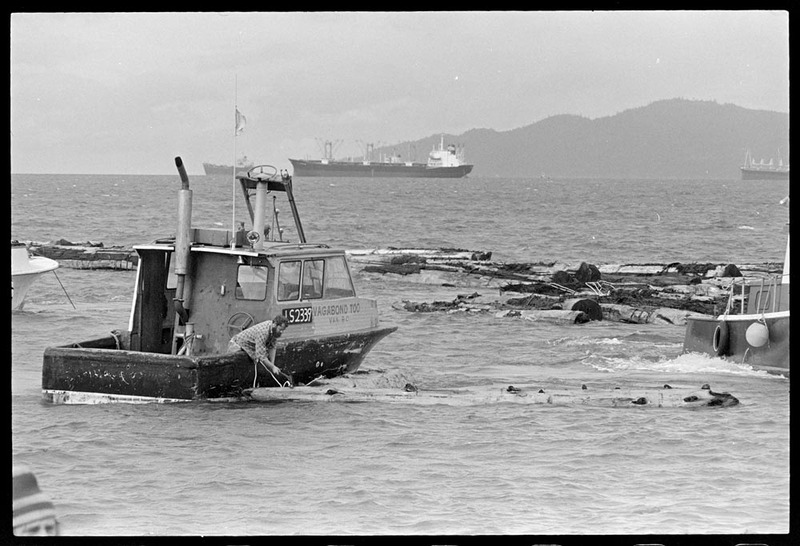 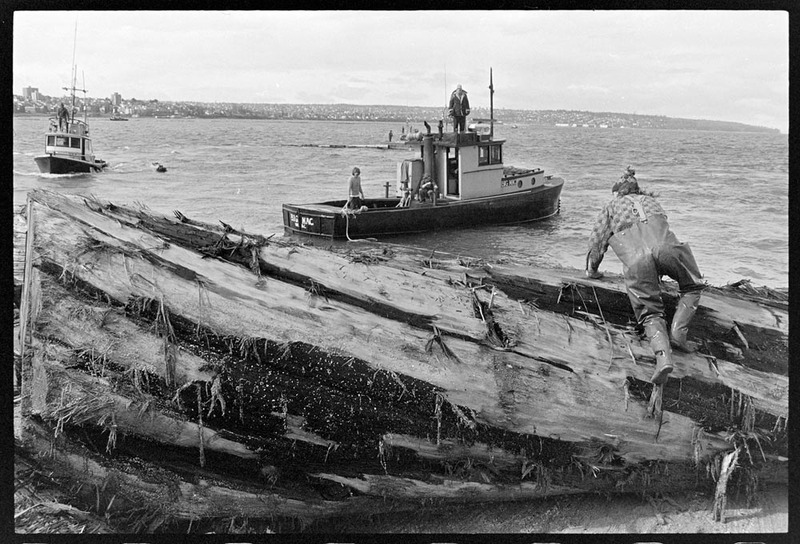 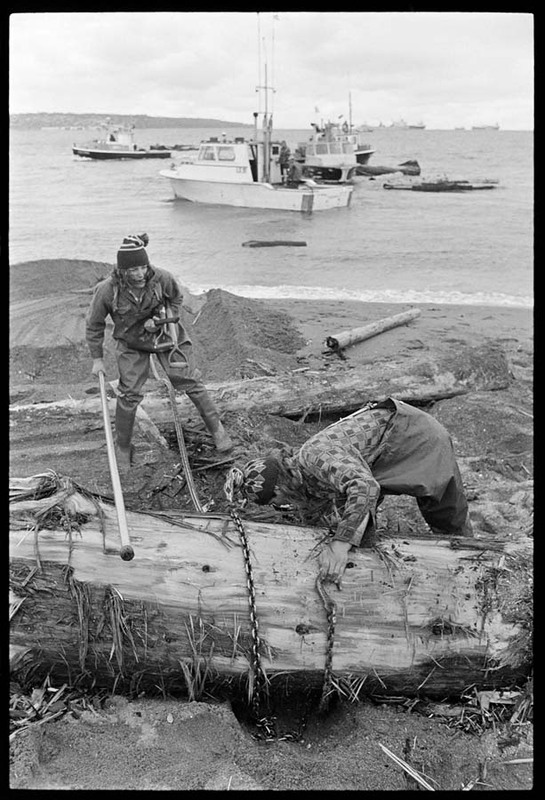 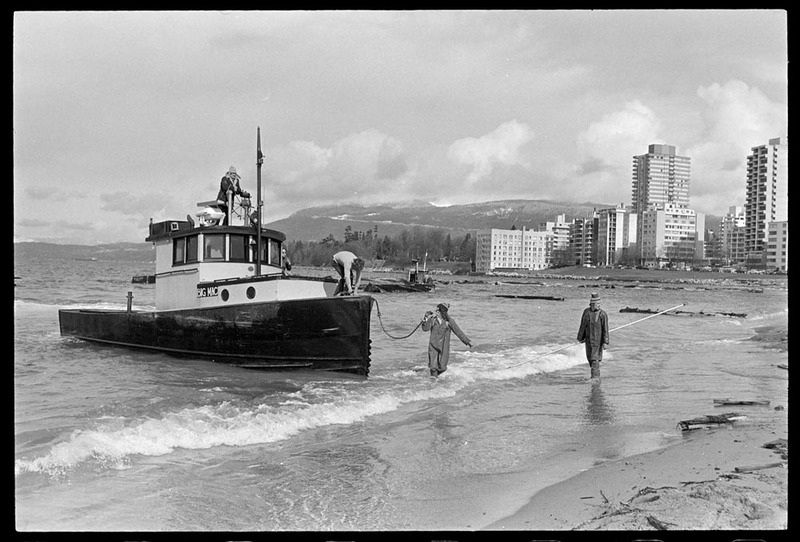 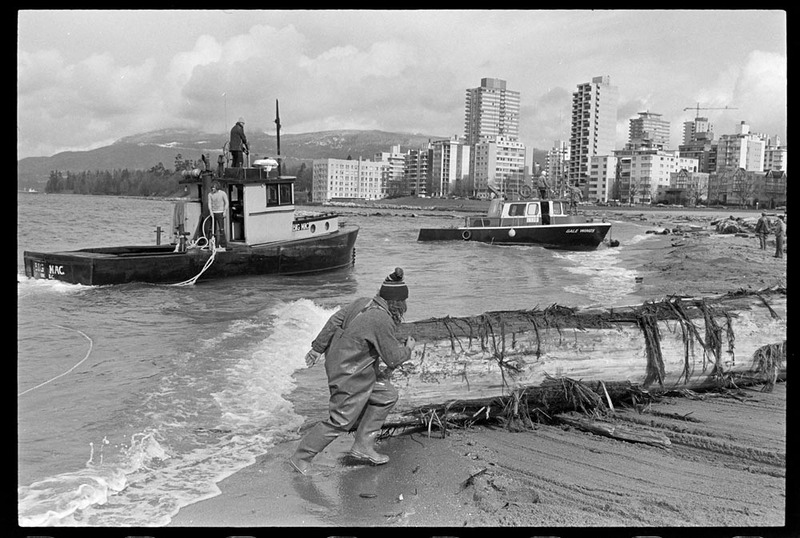 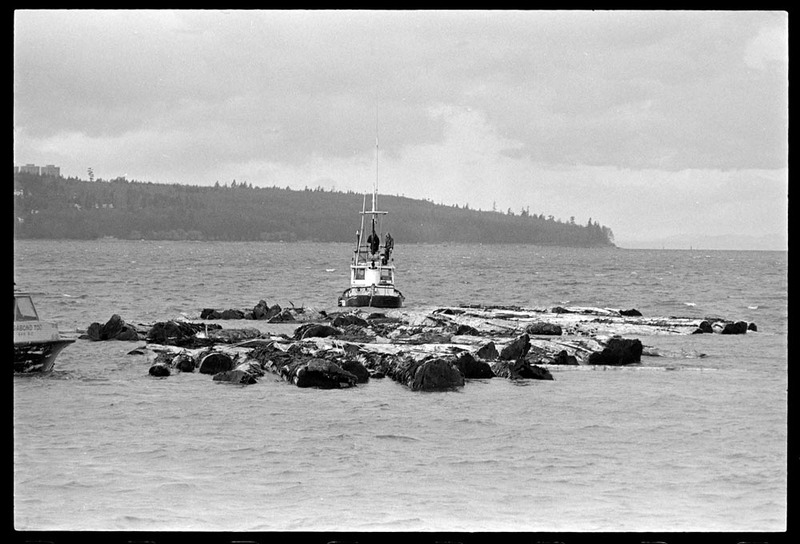 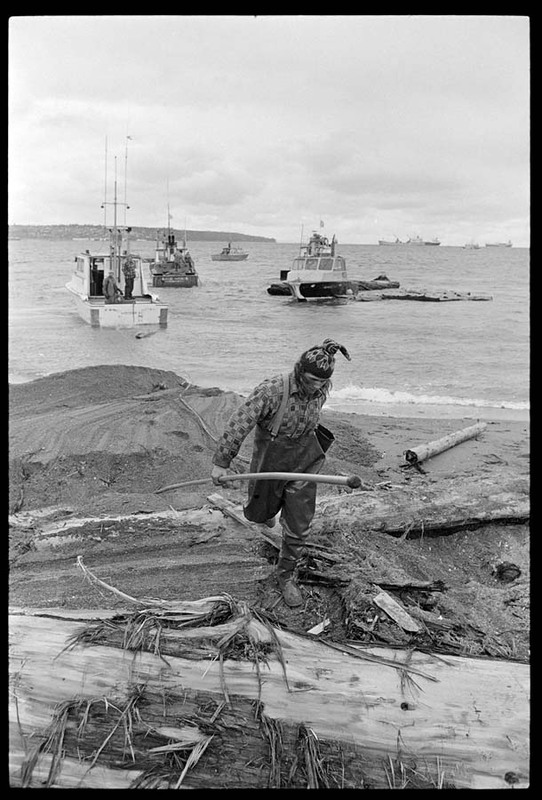 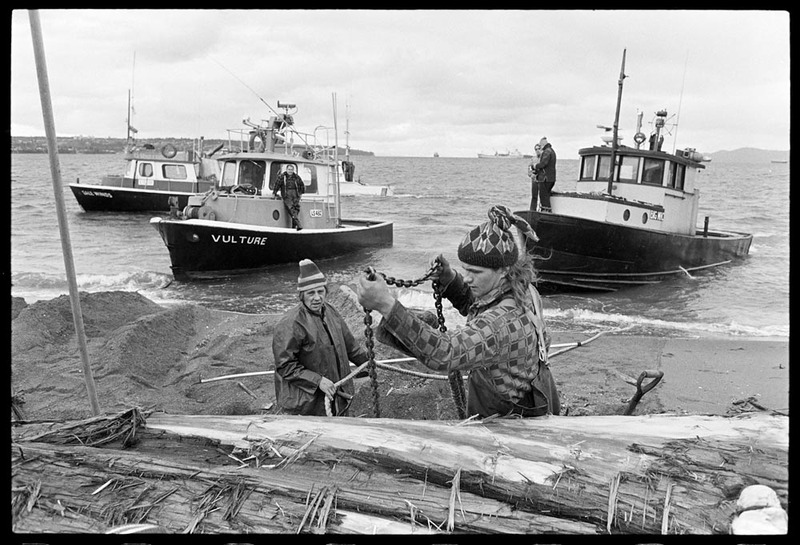 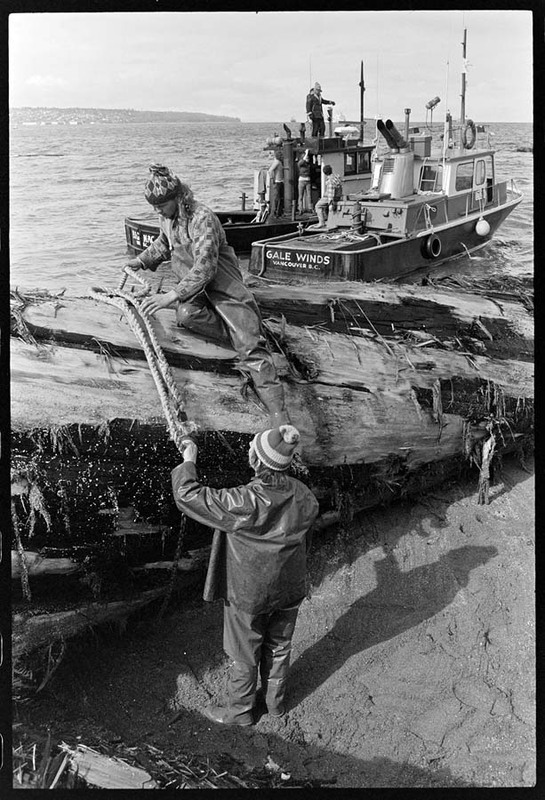 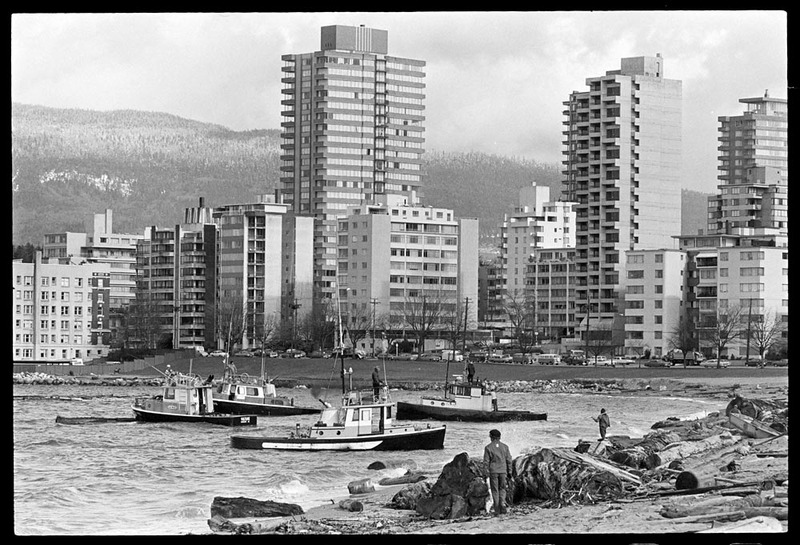 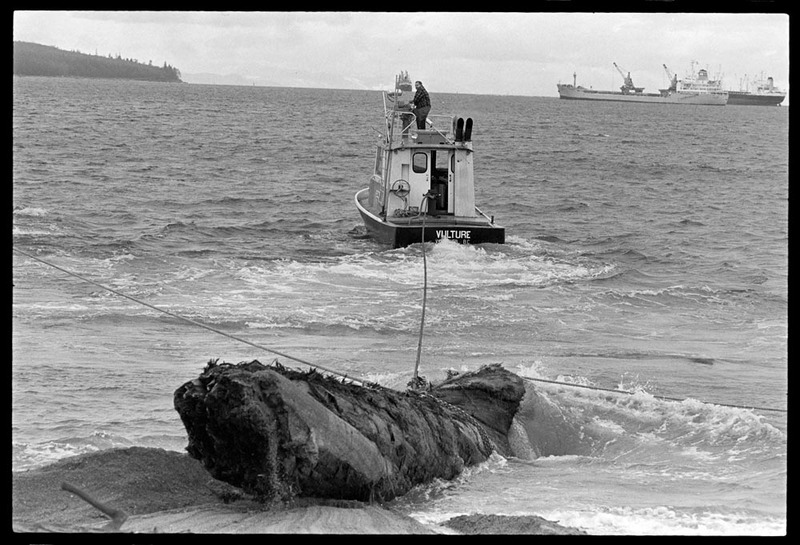 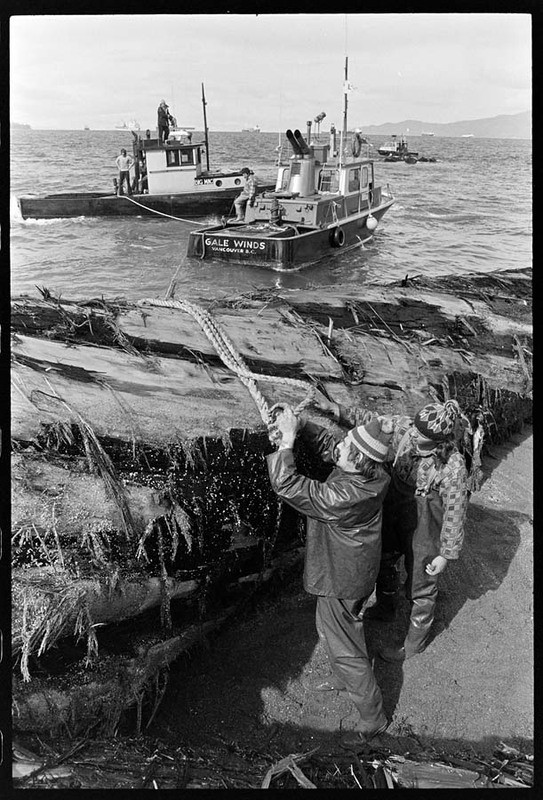 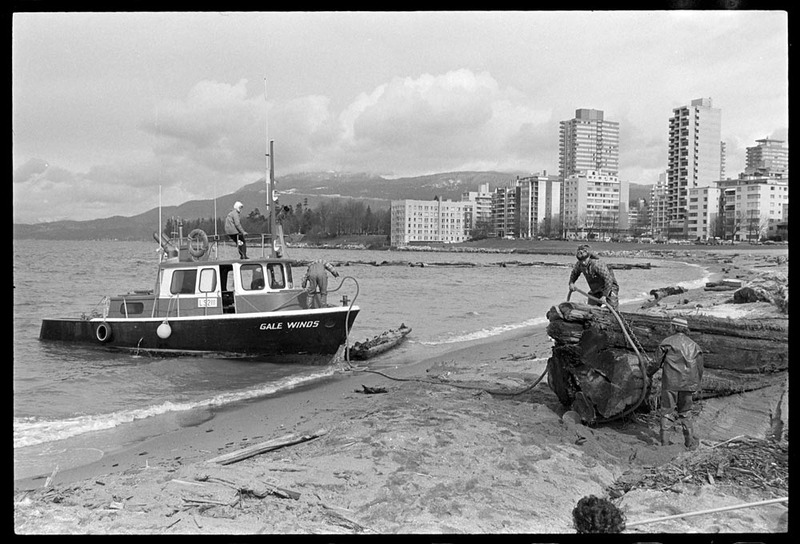 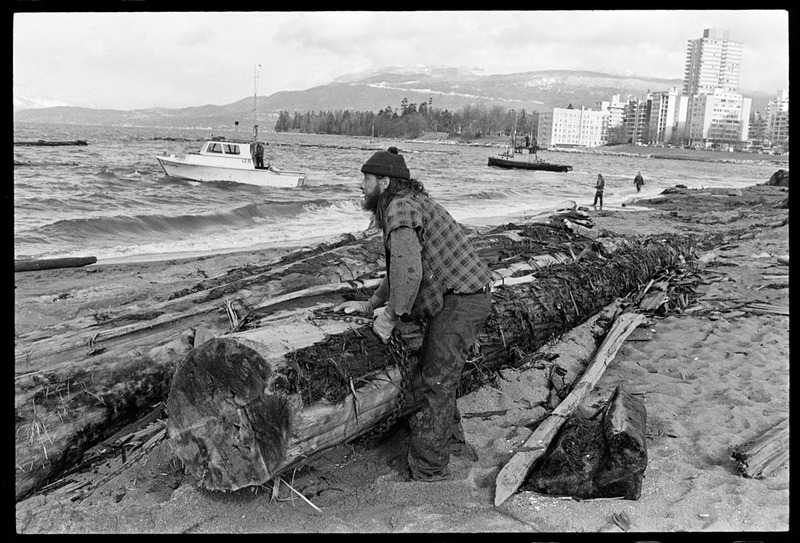 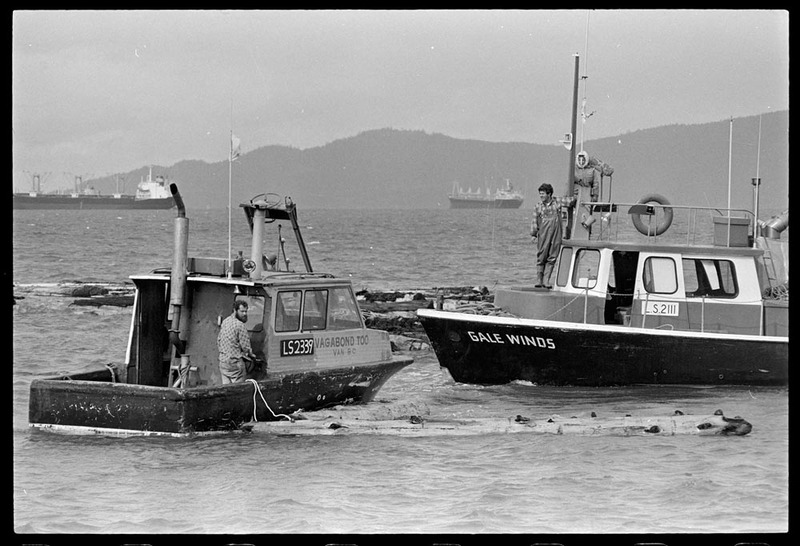 April 2nd, 1975 — A group of beachcombers remove a log from English Bay Beach. 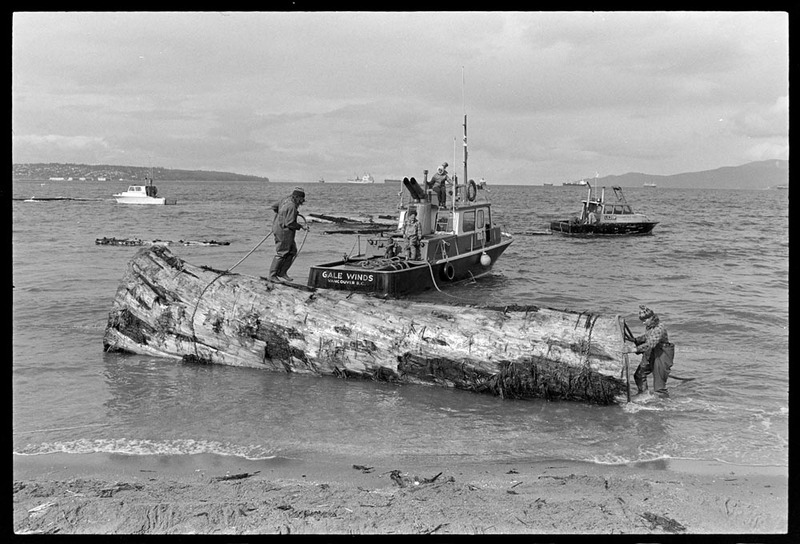 The log, one of hundreds, separated from a boom during a storm the previous night. 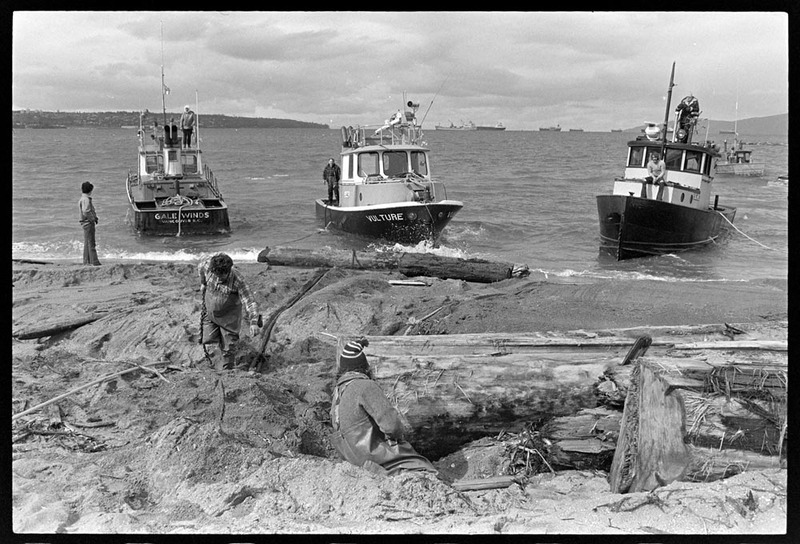 What’s interesting about this picture is that the beachcombers, normally an independent and cut throat lot, are co-operating with each other. 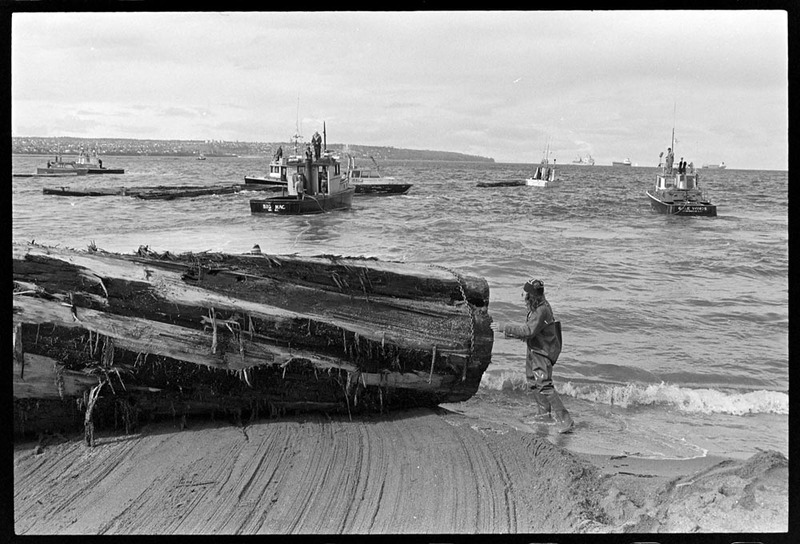 Possibly it was the number of logs that came ashore that morning and they felt there was plenty to share.